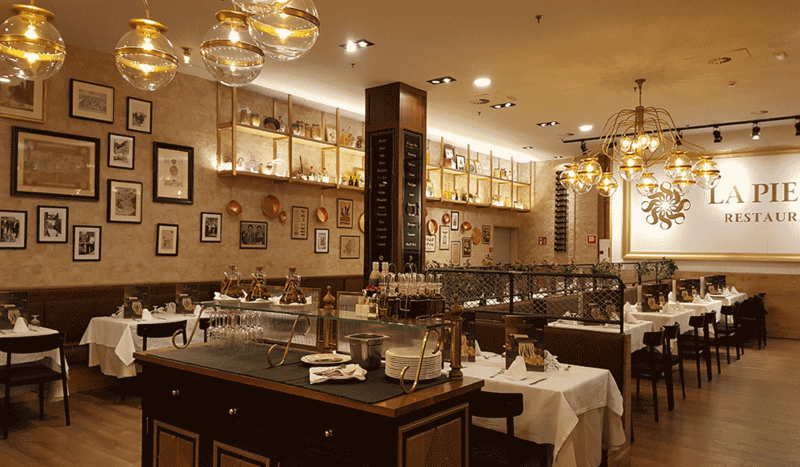 The restaurant chain commissioned us to light two of its sites: the one in Méndez Núñez Street, near the Roman ruins of Tarragona, and the one located inside the Mall La Gavia in Madrid. In both cases, the restaurant chain has put every effort to make La Piemontesa not only a unique gastronomic experience, but also a place where every detail has been well cared for. For the restaurant in Tarragona, we were asked to design some spectacular vintage hanging lamps. 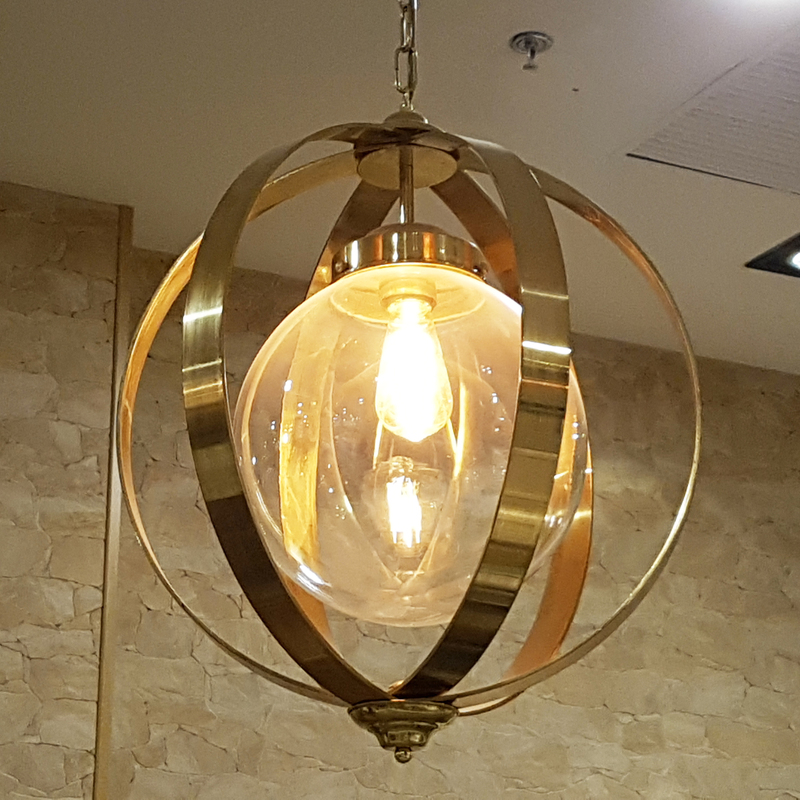 From the metallic structure in matt gold finish, nine arms hang with a crystal ball in each, decorated with a metal ring. 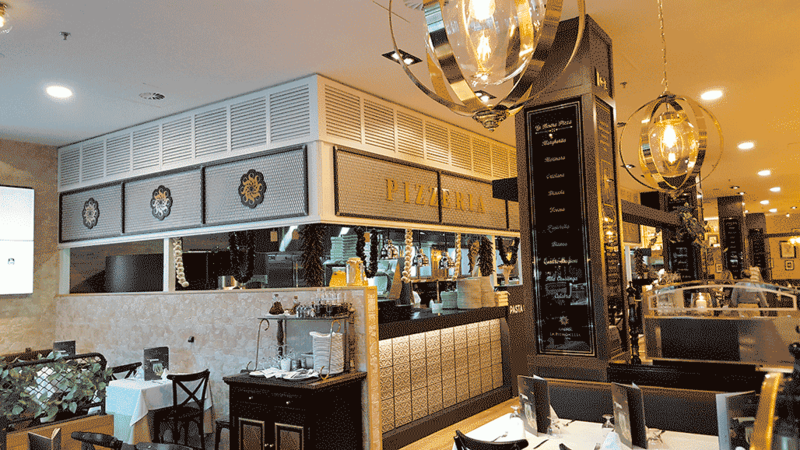 Around these large lamps, which are the centre of the restaurant, hang other balls of similar style, double dial and metallic flat spokes that surround a transparent crystal ball. 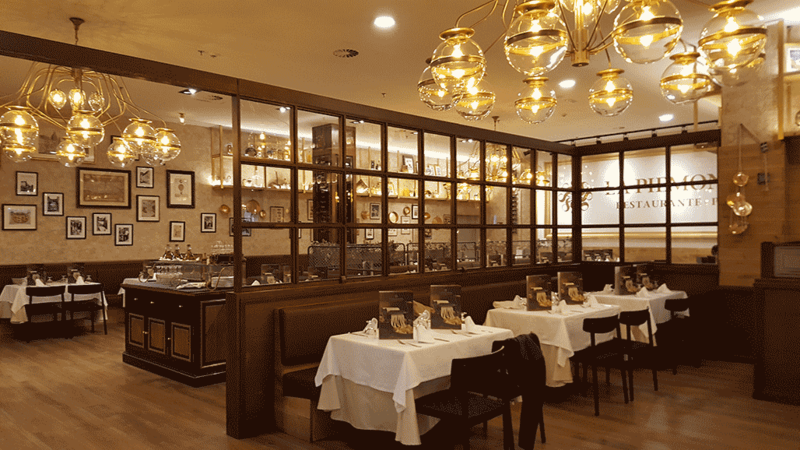 Over the dinner tables, there are smaller pendant light fittings: some pulleys to adjust the height with two tulips at the end, and braided cable, ideal to give the restaurant a vintage touch with light bulbs in the shape of a cauldron. 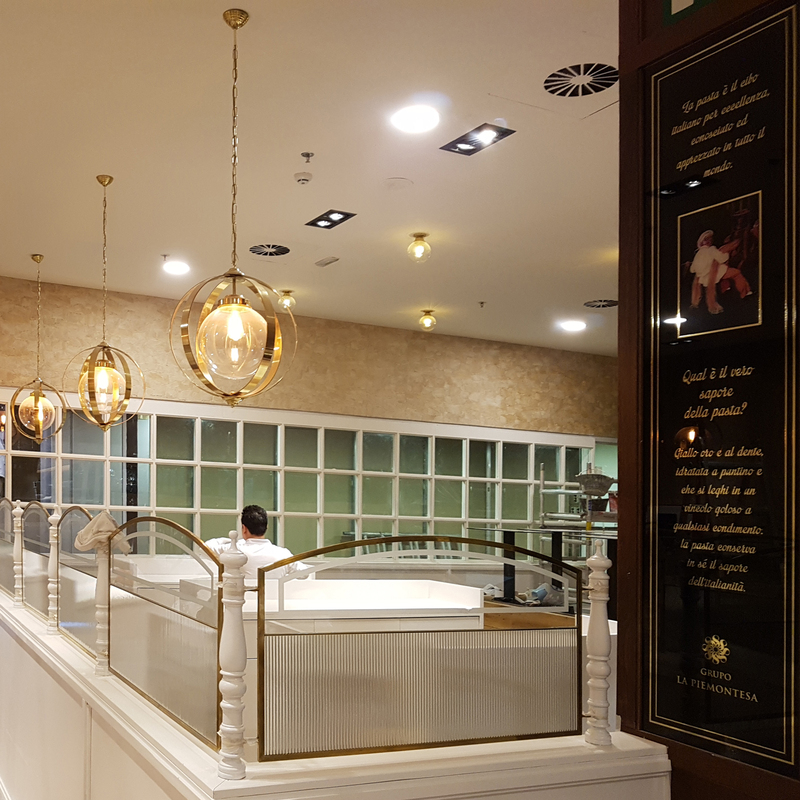 In the case of La Gavia in Madrid, we used the same spectacular nine-armed lamps with double sphere – only in this case a little bit bigger – which hang over the aisle dividers and over the dinner tables.